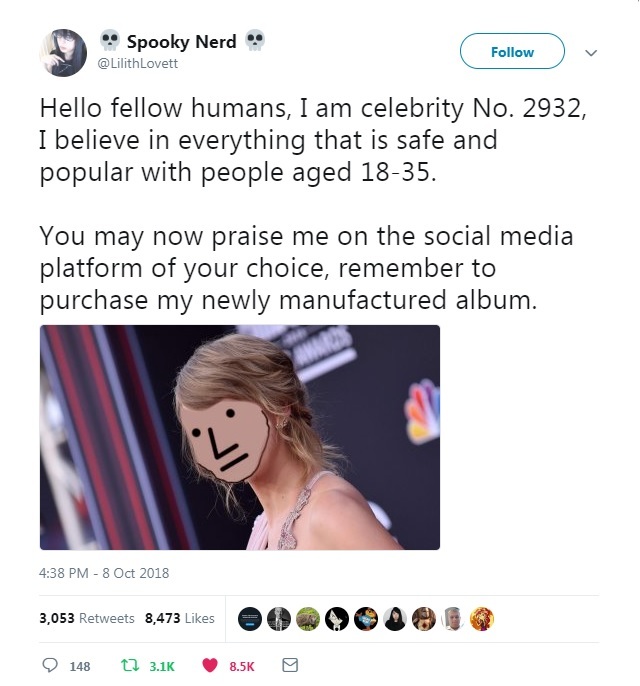 Taylor Swift can't stay silent about politics any longer. 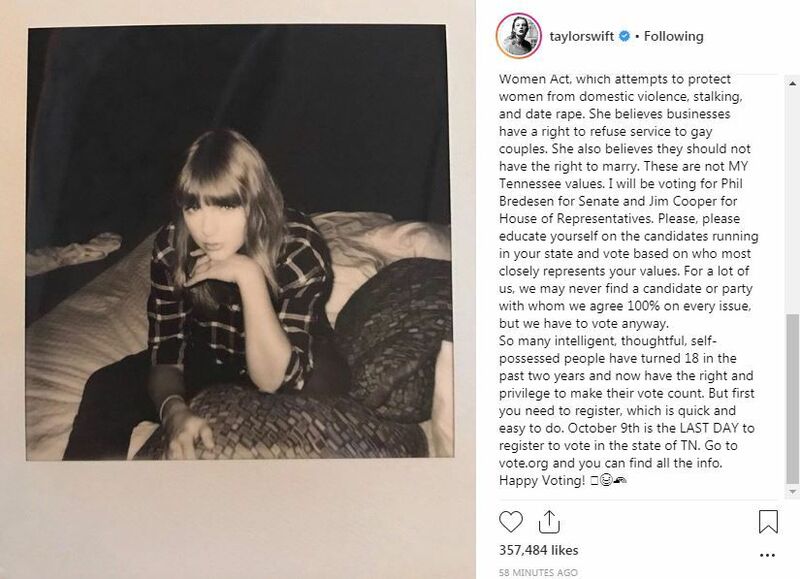 The 28-year-old superstar took to Instagram on Sunday night to weigh in on Tennessee’s closely contested U.S. Senate race, endorsing Democratic former Gov. Phil Bredesen as she offered a harsh rebuke of U.S. Rep. Marsha Blackburn, the Republican nominee. I don't know about you, but open borders, gay marriage and an all-transgender military is what I think of when I think of "Tennessee values." According to the latest poll, Marsha Blackburn is +8 over her opponent Phil Bredesen (50-42). I can't imagine Swift's hate-filled screed attacking Blackburn as a racist bigot having much effect.